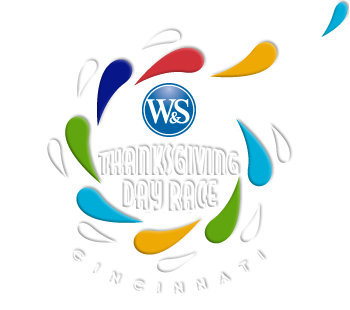 ﻿ 2018 W&S Thanksgiving Day 10K Run & Walk Newsletter #3 - RUN that by ME - Take a step. Then take another step! Oh What Fun it is to Give! For eight years, runners and walkers have brought thousands of warm coats to the starting line to donate to our Goodwill Coat Drive. This breathtaking generosity has made our hometown race the site of the largest coat drive in the country. We have given over 30,000 pounds of donated coats – that's a lot of warmth and happiness. "Our community is so inherently generous," says Crystal Faulkner, a partner at MCM CPAs & Advisors, the race sponsor of the Goodwill Coat Drive. "The coat drive is another wonderful way that we celebrate the inherent beauty of Cincinnati." This year, the Goodwill Donation Station will be at Paul Brown Stadium. Goodwill volunteers will be on hand to accept your donations, which will help area veterans and people with disabilities. More good news — race registration and our new quarter-zip, high-tech pullovers are still on sale until they run out! There are also special discounts for corporate participants — contact us for promocodes. And, keep up with us on social media: Facebook, Twitter and Instagram. It's fun, Fun, FUN! Register today. At this starting line, there's room for everyone… and always one more. What are some strange ways stress can affect your body? "Stress can do some unique things to your body, affecting it in various places," said psychologist Dr. Sarah Cox, from TriHealth. Muscles and joints. "Stress can cause pain, tightness or soreness in your muscles, as well as spasms of pain," said Cox. "It can lead to flare-ups of symptoms associated with arthritis, cramping and other conditions. That's because stress lowers your threshold for pain." "Too much of the stress hormone cortisol may make heart and lung conditions worse," said Cox. "These conditions include heart disease, stroke, high blood pressure and asthma. If you have pain or tightness in your chest or heart palpitations, see a doctor as soon as possible to rule out a serious condition." "We have an advanced neural network in the brain and a simpler one in the gut that communicate. Stress can trigger GI symptoms through this brain-gut axis — from simpler symptoms such as nausea, abdominal pain, diarrhea or constipation to more complex conditions such as irritable bowel syndrome and acid reflux (GERD). These GI symptoms can then send feedback to the brain and cause more stress," said gastroenterologist Peter Dryer, M.D., with the TriHealth Digestive Institute. "We call this the 'tension triangle.' Stress can trigger tension headaches, tightness in the neck and jaw, and knots and spasms in your neck and shoulders," said Cox. "You need a strong immune system to fight disease, but poor sleep patterns and stress weakens your body's defenses," said Dryer. "It makes you more likely to catch colds or the flu, for example." Why are some people so lucky? Work hard... quietly. They don't boast, toast or celebrate. They do. Toiling away at their craft day-in and day-out. They don't announce it on Facebook or tweet about it on Twitter. Lucky people get busy working. Surround themselves with positive people who build them up not tear them down. Life is hard enough as it is without having to worry about negative people slowing you down. Have grit. Lucky people have a crystal clear objective. Whatever their cause/passion or adventure, they have a magnet attracting them to their goals. Accept imperfection. They know the right time will never come to them. They have to go out and make it the right time. Don't gossip or pay attention to the critics. Shrugging off a desire to gossip or respond to critics, lucky people smile and keep walking forward. Lead from the heart not the head. They feel more than they think and are driven more by emotion and passion. Thinking is important but often they let their minds direct them forward. Focus on the goal not the plan. Plans can change. Chaos can interrupt the best laid plans. But goals don't. Happy marriage, talented kids, meaningful work and a successful career — these usually remain constant but how we get there can change over time. Move forward. They take lots of action and have a bias for trying things, even if they may fail. Remain in the day to day. Letting go of the past and focusing on the present moments, lucky people direct their effort at what they can control right here and right now. Believe in themselves. They're not arrogant. They believe in this inner strength... this resiliency of the human mind that can achieve great things. Are always curious. They want to understand how things work. They have a childlike wonder. Zig and zag. They know that getting to success is never a straight line but a path full of curves and barriers, and many detours and recalibrations..
Stay grateful. Recognizing that life is a gift, lucky people act with great humility. What if you HATE to exercise? "If you can reframe exercise from something torturous into something fun and adventurous, you'll be more likely to stick to it," said Dr. Steve King from Mt. Lookout Chiropractic. It's good for your family. It's good for your mind, your body, your social life, your self-esteem and your confidence. It shouldn't matter whether you like it, you should try to do it anyway. Grab a friend and turn your workout into a social experience by entering a fun race like The Holiday Lights Run, or use your walk as an excuse to explore Cincinnati. Put together a playlist to keep you motivated or save your podcast and listen while you exercise. If certain forms of exercise sound like torture, select something that feels doable and commit to it for a month. You don't have to go crazy here — walking, swimming, dance, yoga and running are all great options. Many people can drain your energy; daily activities can drain your willpower. Try to exercise in the morning before you're worn out and fed up from a tough day. What traits make employees great? "Life is hard, but business is virtually impossible without positivity," said Alvin Roehr, CEO of The Roehr Agency. "True positivity is a resilient fortitude and a deeply held belief that you can make a difference." "Follow through, keep your word, and make things happen," said John Barrett, CEO of Western & Southern. "You can be trusted with the details. You can be trusted with everything." "Excellence requires a tremendous amount of caring and an uncompromising attitude," said Barrett. "Being committed to excellence creates better products and services than your competitors." "Unforeseen circumstances constantly arise that require diverse sets of skills that may force you to go beyond your job description and do whatever is needed," said Roehr. "Don't be allergic to new ideas, approaches and perspectives." "Speak clearly. Write concisely. Be transparent, yet tactful and persuasive," said Barrett. "Life is packed with problems and puzzles. Solve them," said Barrett. Do you ever wonder why you were in such a hurry to grow up?